When Kimberly Simon graduates in March with a Medical Office Administration Diploma, she'll be looking for a job in her new field. Any employer who hires her will find a person who has the drive and determination to be successful, someone who has beaten the odds to get a college diploma. "I feel like I have so many more opportunities at a rewarding career, and I now have more confidence in myself," Kimberly says after going back to school as an adult. Kimberly has been selected as a 2017 Education Champion by the Education WORKS Alliance, after being nominated by St. Leonard's Community Services. The Brantford woman had worked for a retailer for 16 years, serving as an assistant manager before the store was sold. Kimberly decided to think of the change as "one door opening" not "one door closing," and it revived the idea she had of working in health care. "When the store was sold, that was my opportunity to go back to school and prove to myself that I could do better," says the 44-year-old. Kimberly turned to St. Leonard's and worked with the Brant Employment Centre to apply for the Second Career program, which provides government assistance to laid-off workers to start new careers. 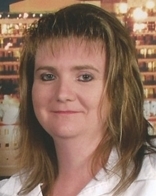 She enrolled in the Medical Office Administration program at Medix School of Healthcare in Brantford. Even with the financial support of Second Career, Kimberly faced financial struggles to pay her bills while going to school and to buy a computer she needed for her studies. There were other barriers to overcome, as well, including mental ones. Remembering that she had struggled many years ago in high school, Kimberly had self-doubts about her ability to do well as an adult. But with the help and encouragement from family, friends, teachers and others, she persevered. She learned how to manage her time, how to study, how to learn, and even became an "A" student with high marks. Kimberly speaks from experience now when she says people shouldn't listen to naysayers or even to their inner doubts. "If it's something you want, go for it, seek out the people and resources that will get you where you want to be. It's never too late to better yourself."